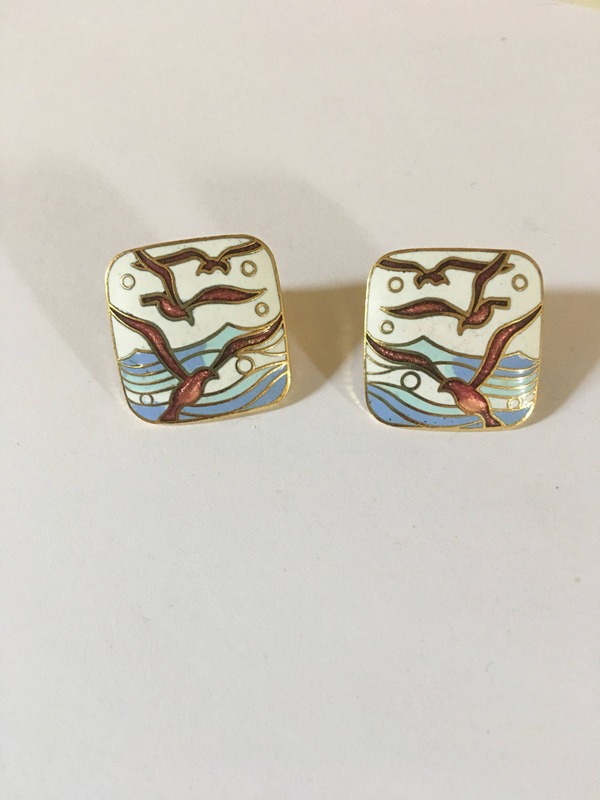 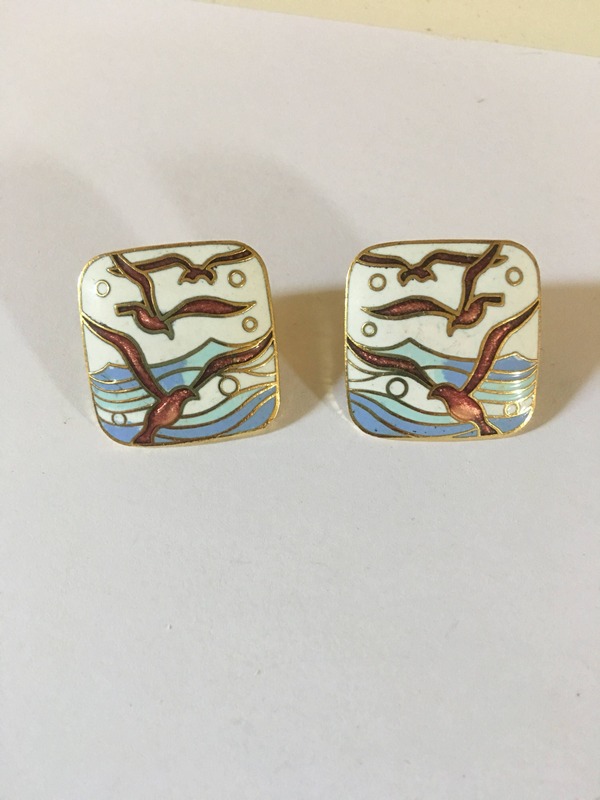 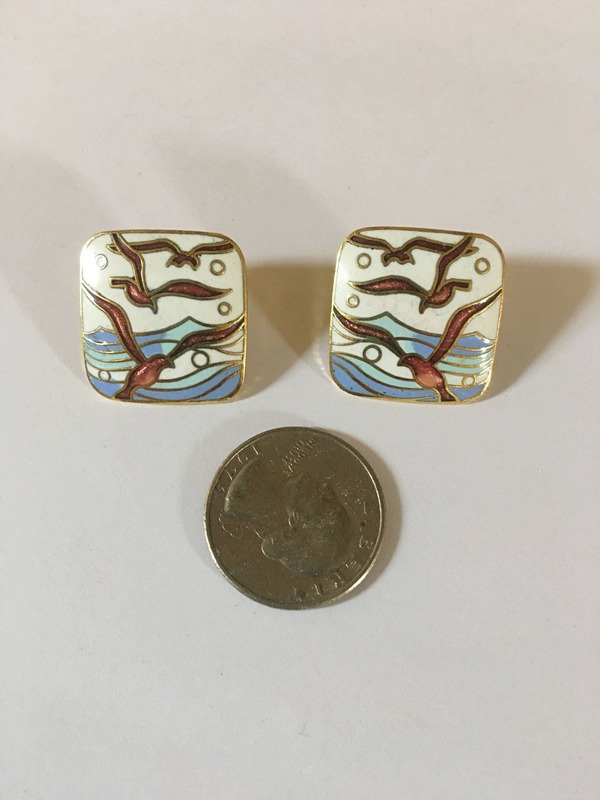 Beautiful pair of vintage seagull and sea scene enamel and gold pierced earrings. 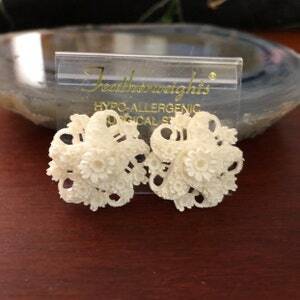 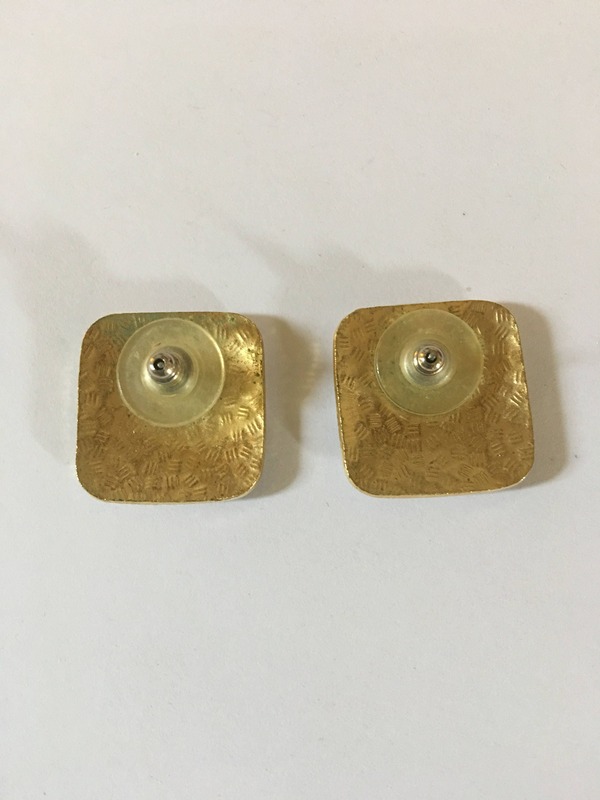 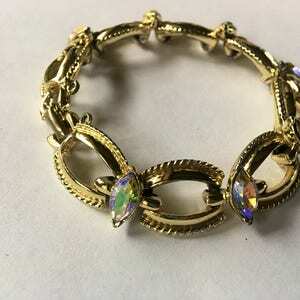 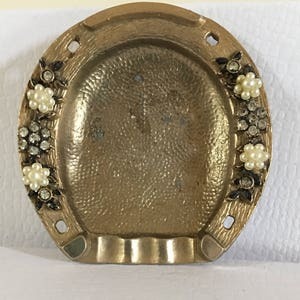 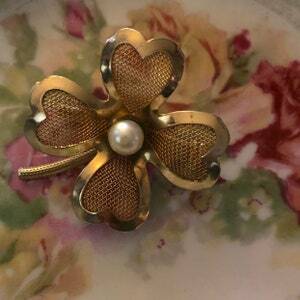 These beautiful earrings are perfect for the summer season. 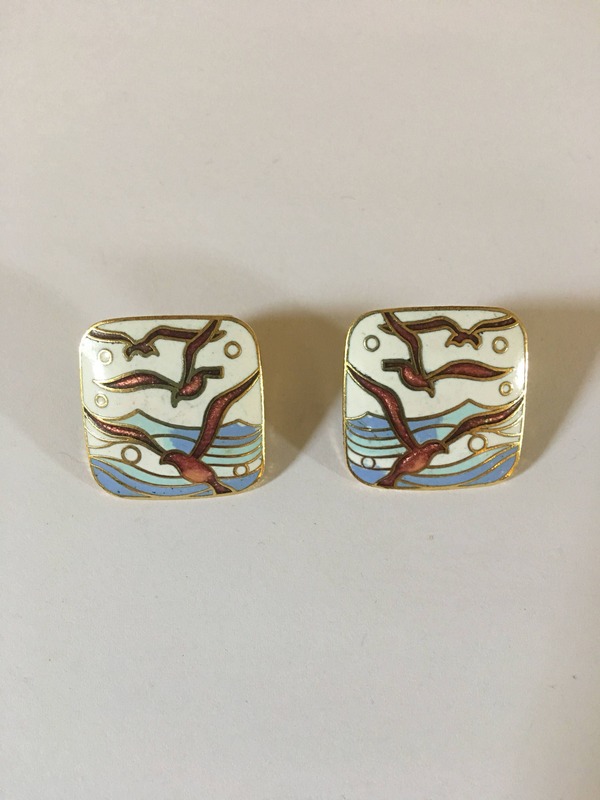 With the beautifully hand-painted seagulls and sea scene these earrings won't disappoint!